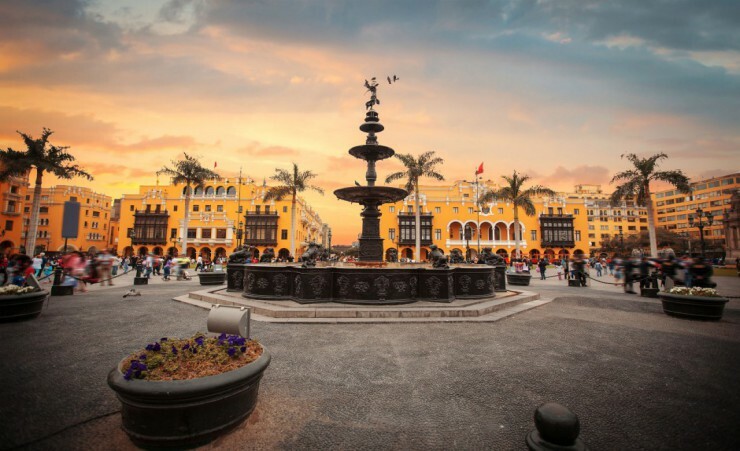 Encompassing the dense tropical rainforest of the Amazon, the arid desert region of Nazca, the dune-filled beaches of Paracas and the snow-capped volcanic peaks of Arequipa, Peru offers a dramatically varied landscape and spectacular biodiversity. 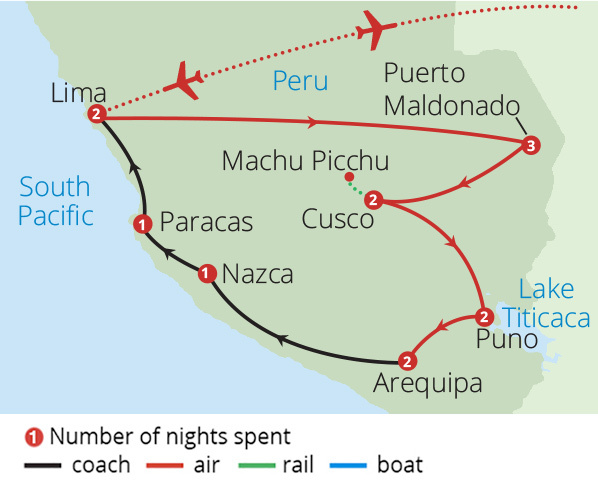 Depart London on your scheduled, overnight flight to Lima, via Sao Paulo. 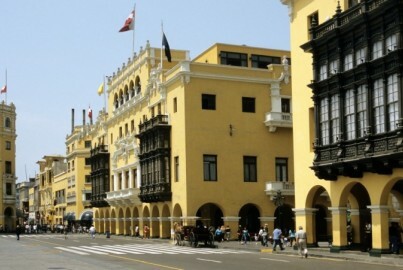 On arrival in Lima, you will be met and transferred to your hotel in Peru's elegant capital. 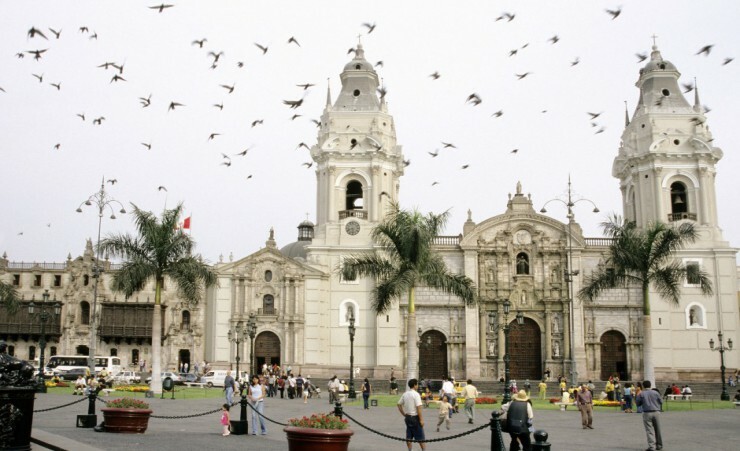 Your afternoon tour of Lima, the City of Kings, takes you past the stately Government Palace, located in the Main Square, to the city cathedral, where the remains of conqueror Francisco Pizarro lie. Explore the highly embellished cloisters and entryway of San Francisco Monastery and its network of underground catacombs, used as cemeteries during the colonial period. 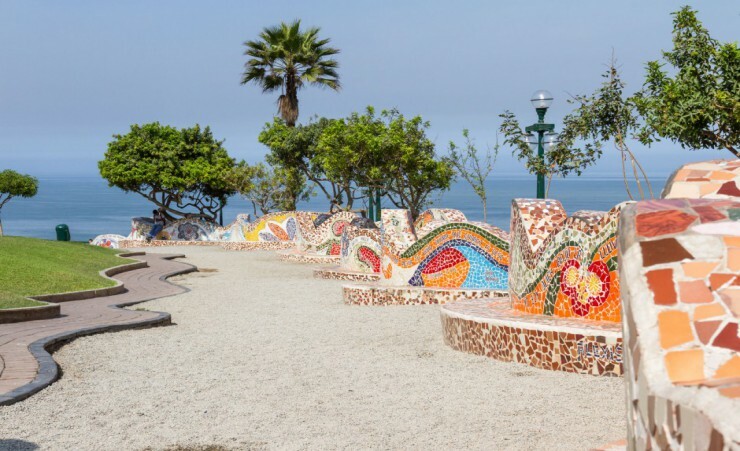 Wander through the picturesque neighbourhood of San Isidro and the modern district of Miraflores with its beautiful parks, squares, cafes and restaurants. 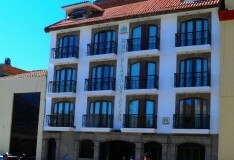 Return to your hotel, re-joining your group later this evening for a welcome dinner. After breakfast, transfer to the airport for your flight to the city of Puerto Maldonado, the gateway to the Amazon rainforest. Travel by boat to Corto Maltes Lodge, your Amazonian home, arriving in time for lunch. In the afternoon, trek to a brazil nut harvesting camp and learn more about this important Peruvian staple crop and its cultivation. 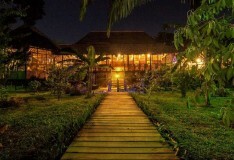 Back at the lodge, relax by the pool or unwind in a hammock on the terrace before a night-time pre-dinner boat excursion to observe lurking caimans and the nocturnal animals of the Amazon. 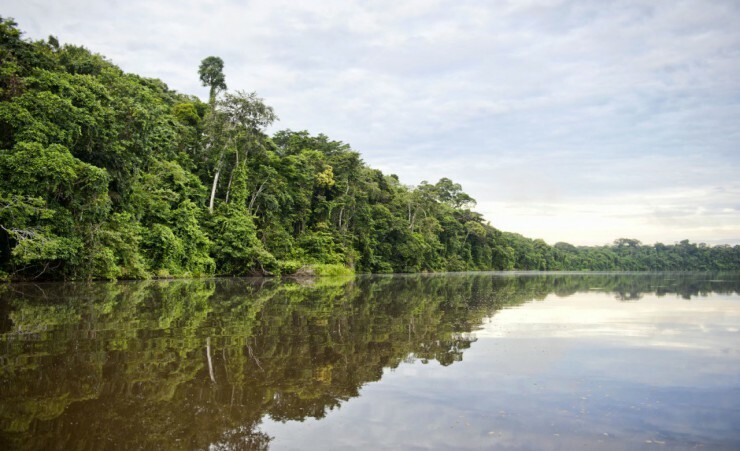 A 3-kilometre morning hike through the wildlife haven of Tambopata National Reserve takes you to Lake Sandoval where a ride in a rowboat allows you to appreciate the biodiversity capital of Peru. 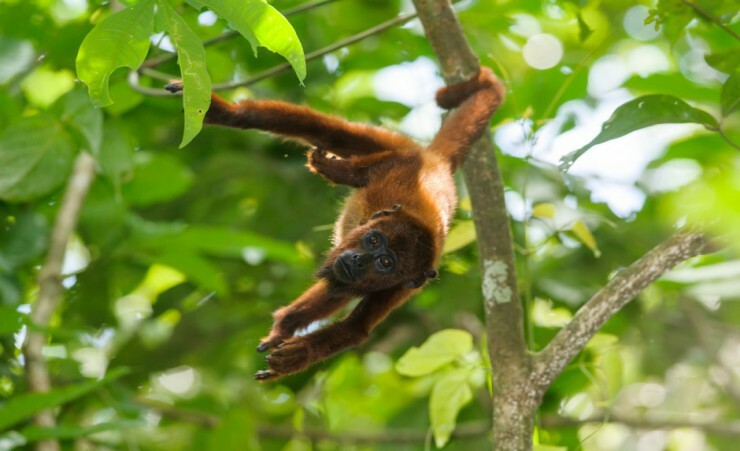 Spot river otters, macaws, howler monkeys and one of the world's biggest freshwater fish, the Paiche, from your lookout on the river and, conditions permitting, encounter the primates of the Amazon on Monkey Island. Ascend into the treetops after lunch and enjoy animal viewings and a spectacular sunset from the lodge's two lookout towers. A visit to a Shiringuero encampment gives insight into the collection of rubber and takes you into the evening, which can be enjoyed at your leisure. After breakfast, venture downriver by boat to a native farm for a tropical fruit tasting before visiting a native Machiguenga family, one of the ethnic groups of the Peruvian Amazon. Learn about the intriguing customs and language of this group, as they teach visitors about their ayahuasca ceremonies, hunting gear and medicinal plants before sharing one of their unique indigenous dishes. Return to the lodge for an afternoon at leisure and the chance to enjoy a refreshing swim, a cool cocktail or a relaxing massage (at a fee) before dinner. Experience an early morning cacophony of sound and colour at a nearby clay lick, where parrots congregate to nibble on a type of clay native only to this region. After breakfast, a boat will carry you to the city centre of Puerto Maldonado where you can browse through regional products at a local market before catching your flight to Cusco. 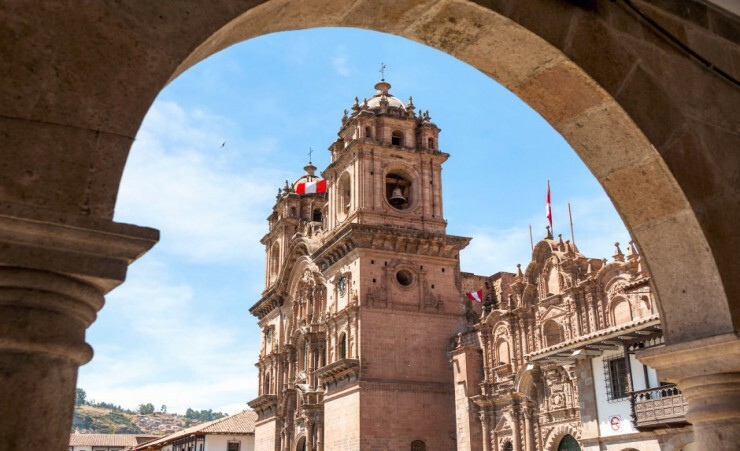 On arrival in Cusco, uncover the remnants of the city's Incan and colonial past on an afternoon tour. 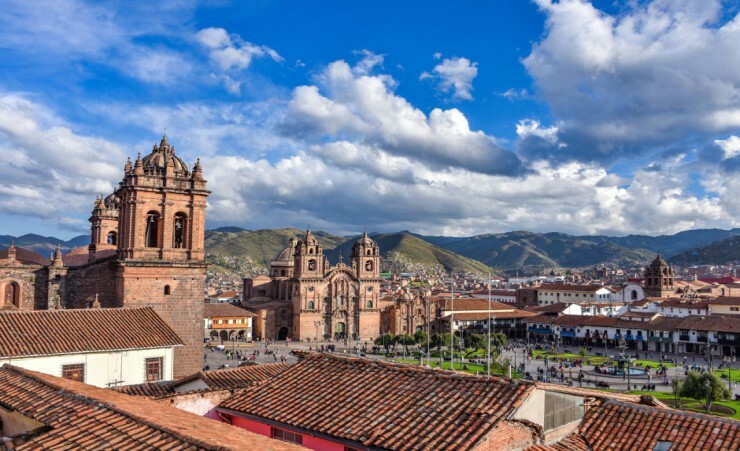 Marvel at the gold and silver leafed walls and skilful masonry of the Incas at Koricancha, enjoy the vibrancy of the colonial city square at the Plaza de Armas and visit the Cusco Cathedral with its ornately carved woodwork, crypts and paintings. 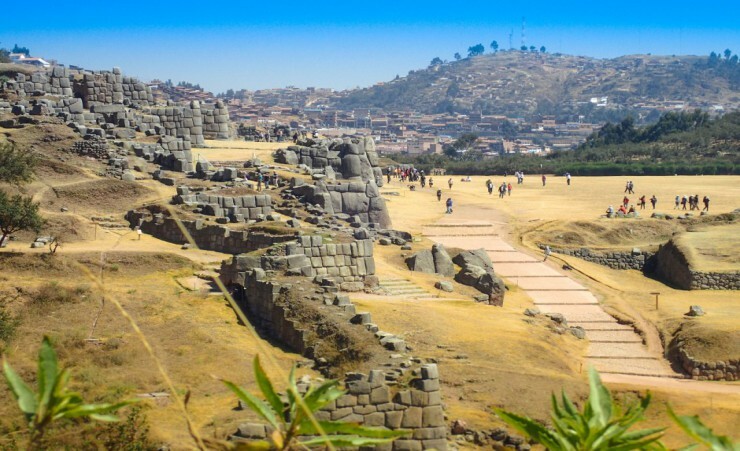 Explore the masterfully constructed Incan rock fortress of Sacsayhuaman and the underground cave and temple of Kenko, then take in the panoramic views over the rocky ruins of Puca Pucara, an ancient military fort. 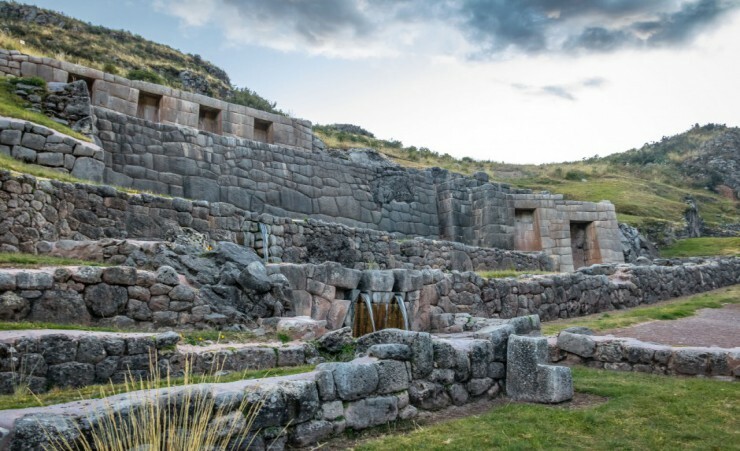 Wander through Tambomachay, the Baths of the Inca where aqueducts and canals flow and pool in sacred baths, before stopping at "Inka's Expression" workshop to watch local artisans create beautiful silver pieces, paintings and wood carvings. 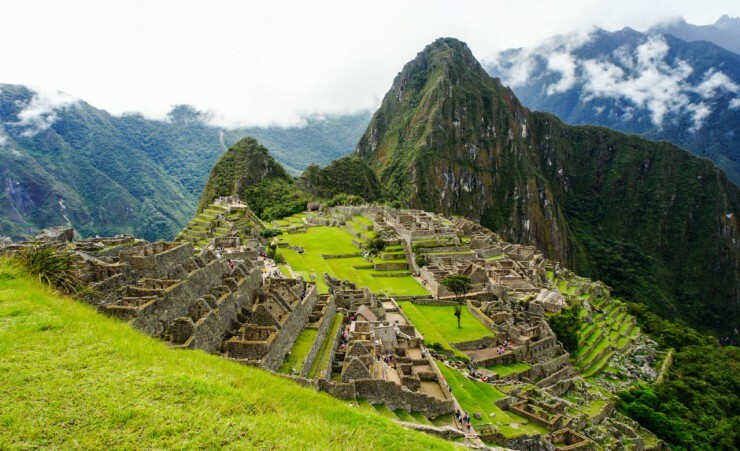 Journey by train to one of the New Seven Wonders of the World - Machu Picchu. 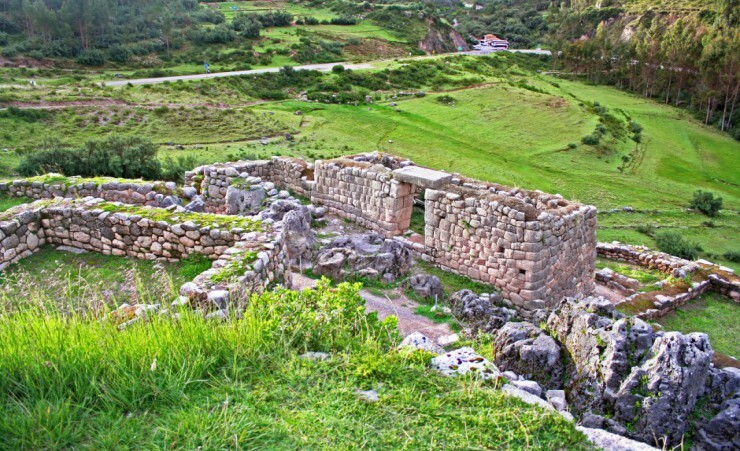 A full-day tour takes you around the tombs, temples and palaces of this ancient city of ruins, believed to be built for an Incan emperor. A city never uncovered by colonizing Spaniards, the structures and agricultural terraces of Machu Picchu are an untouched testament to the culture of this lost civilization. 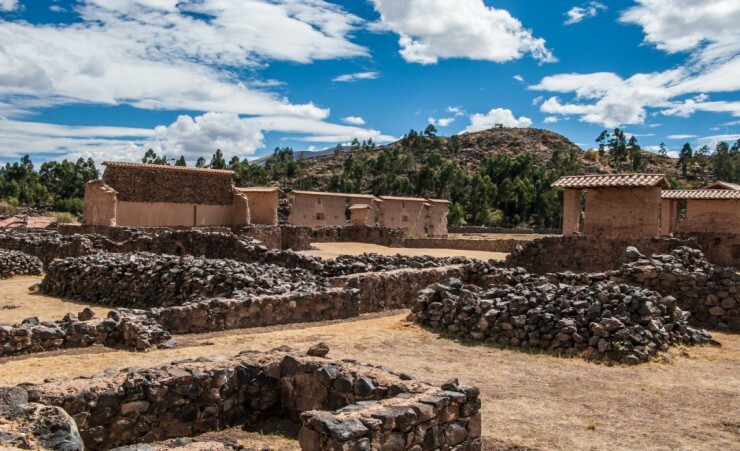 Set between two forested Andean peaks beneath swirling clouds, with llamas often roaming the mountainside, the 550-year-old site offers spectacular views in addition to its archaeological wonders. 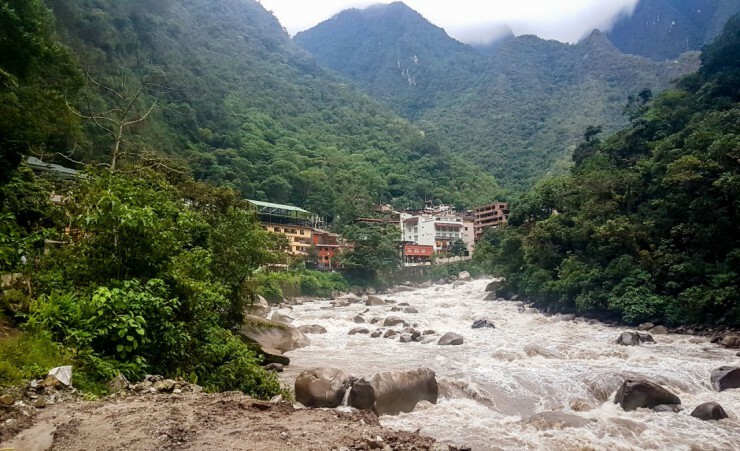 Have lunch in the nearby town of Aguas Calientes and journey home by train after the day's tour. 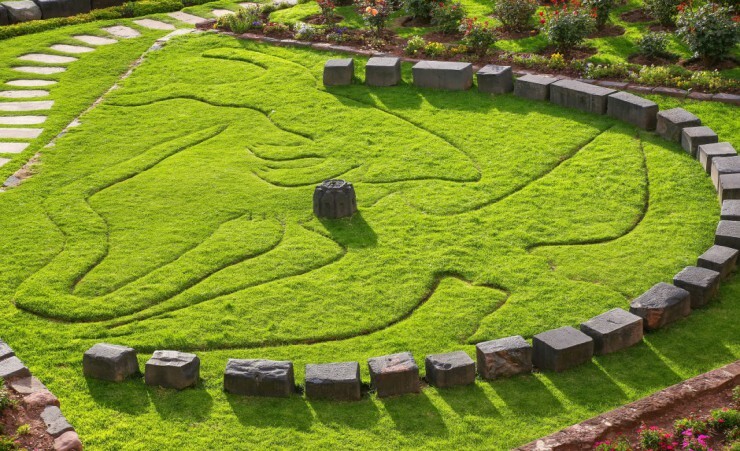 Depart Cusco and travel to Puno, visiting a number of fascinating attractions along the way. Your first stop is Andahuayillas, the 'Sistine Chapel of America', which boasts church walls covered with frescoes and a gilded roof. Continue onward to Raqchi, an Inca archaeological park. 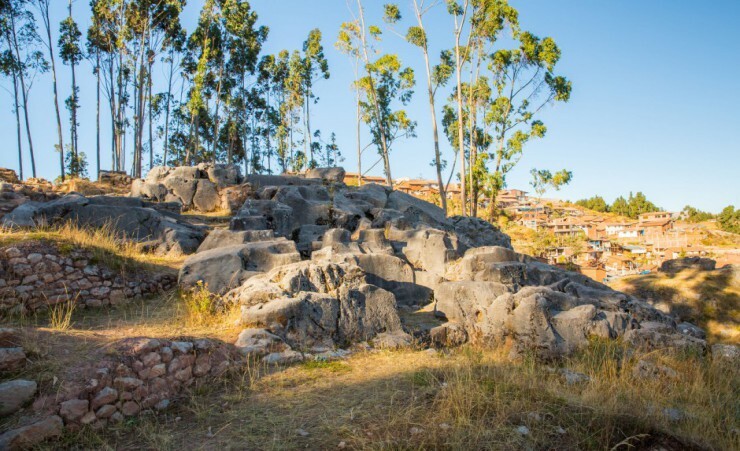 Explore the towering Temple of Wiracocha, built to honour and appease the supreme god of the Incas before visiting The Raya, a well-placed viewpoint that provides panoramic vistas over the Andes. Arrive in Puno in the early evening, with the remainder of the day at leisure. 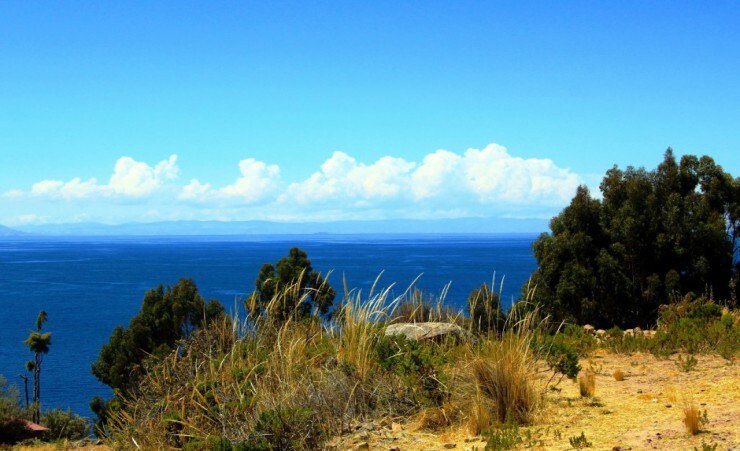 Today's highlight is a trip to Lake Titicaca, the highest and largest navigable lake on earth. The views from the top of Taquile Island can stretch to Bolivia on a clear day and are well worth the hour-long walk from the port. After lunch in a simple restaurant overlooking the lake, follow 535 stone steps to a fantastic observation point. 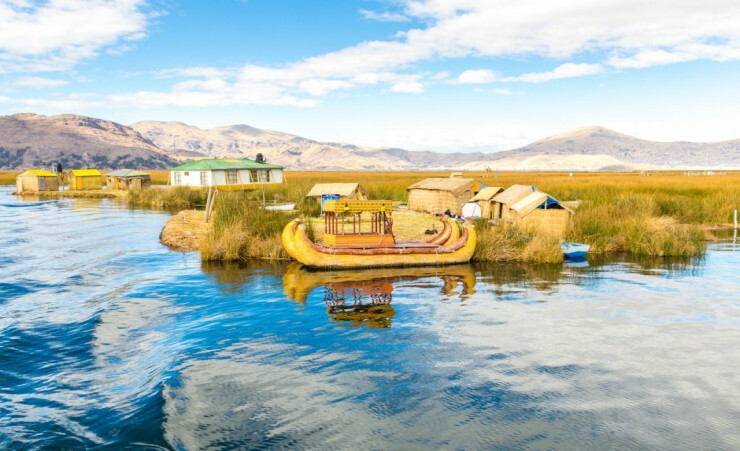 Later, walk back down to the port and board a boat for a brief visit to the floating reed island of Uros to visit a local family home before returning to Puno. 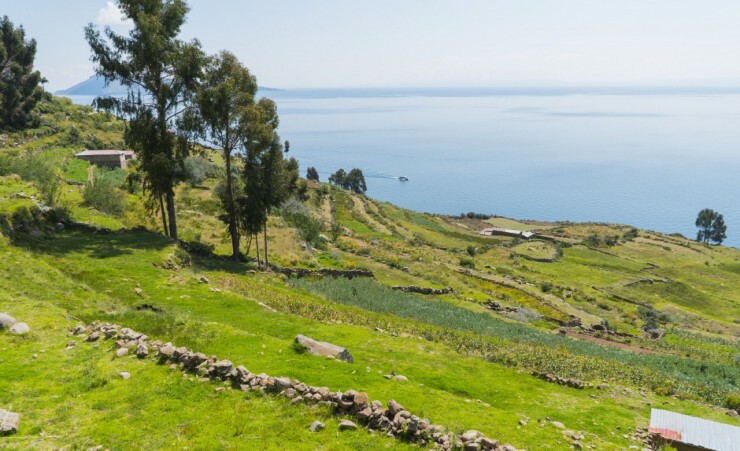 Witness the natural beauty of Peru on today's journey from Puno to Arequipa. Leaving in the morning, travel first to a lofty lookout point with far-reaching views over the Lagunillas Lagoon and the chance to spot rare Andean birds such as the giant Andean coot and the Andean goose. Stop at a restaurant for refreshments before visiting the plains of Pampa Canahuas where you can observe the unique 'vicunas', a local camelid, roaming the land. 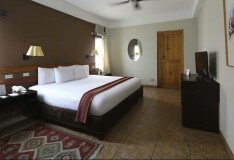 Arrive in Arequipa and check into your hotel before dinner. A scenic 12 to 14-hour drive along the coastline takes you past dazzling white beaches, laidback coastal towns, arid desert plains and lofty mountain passes as you follow the great Pan-American Highway to the city of Nazca for your overnight night stay. 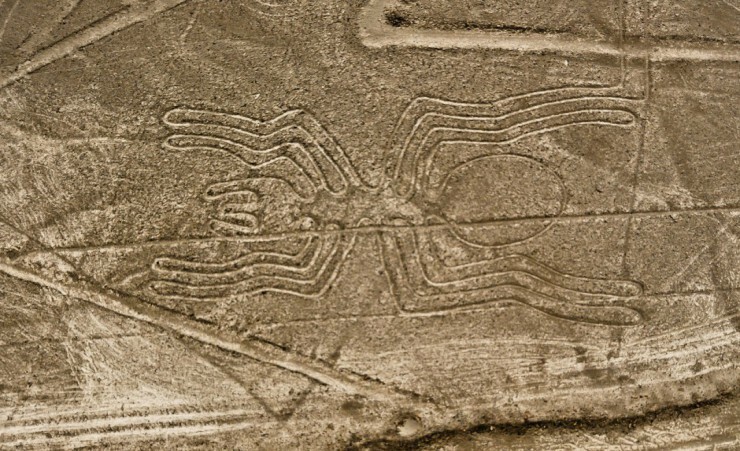 The origin and purpose of the Nazca Lines - a multitude of intricate geometric patterns and figures etched into the rock of Peru's Nazca Desert - has been the subject of mystery and research for decades. The hundreds of figures range in complexity from simple lines to stylized hummingbirds, spiders, llamas and lizards, some as long as the Empire State Building. 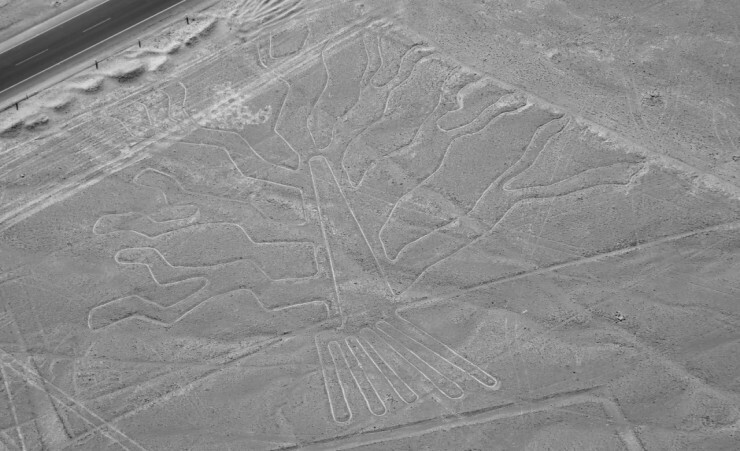 Get a bird's eye view of this fascinating archaeological feature on a 25-minute flight over the lines (subject to weather conditions). Back on land, trace your way to Paracas, stopping to visit a local winery and explore a traditional pottery studio. 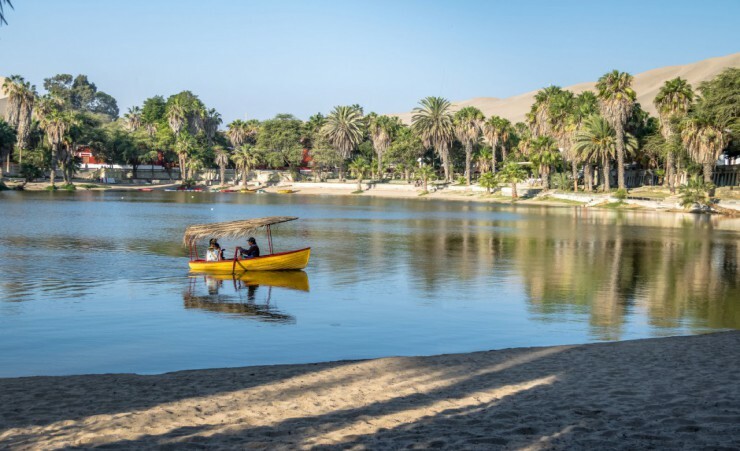 Stunning Huacachina Lagoon, your next stop, is a palm-fringed oasis nestled in the barren desert region of Peru. 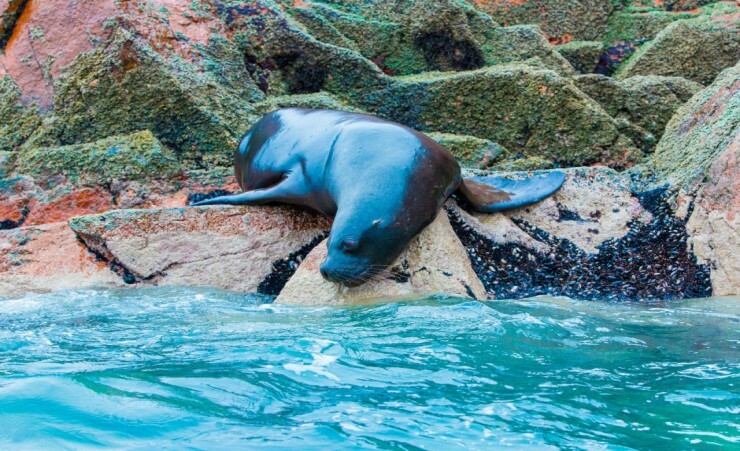 With a handful of quaint shops and dwellings lining the water's edge, the lagoon makes for a unique and quirky pit stop before your overnight stay in Paracas. 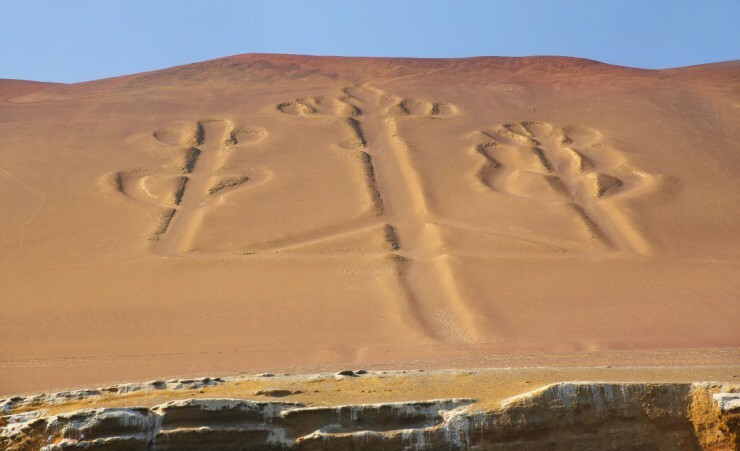 Board a shared boat for the morning's excursion to the Ballestas Islands, and the chance to see porpoises leaping through the surf, pelicans and cormorants swooping over the water and the famous prehistoric Paracas Candelabra petroglyph etched into the waterside dunes. An afternoon at leisure gives you time to relax or explore the sights of Paracas at your own pace. Start your day with a scenic 4-5 hour drive along the Pacific Coastline from Paracas to Lima, stopping for lunch along the way. 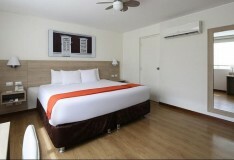 Check into your hotel in Lima, with the remainder of the day at leisure. Later, re-join your group for a farewell dinner that marks the end of your Peruvian adventure. After breakfast, transfer to the airport for your return flight to the UK, via Sao Paulo, or continue on to your chosen extension. 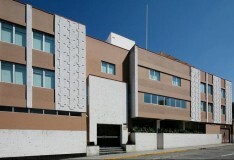 British passport holders are not currently required to obtain a visa to travel to Peru. Further advice should be sought from the applicable tourist authority for other nationalities and for general queries. We strongly advise you to check your destinations' Tourist Board or Embassy for the most up to date guidelines regarding passport validity. Your initial flight is to Jorge Chavez International Airport in Lima (via Bogota) with Avianca (AV), departing from London Heathrow Terminal 2. Each passenger is entitled to 23kg of hold luggage plus one item of hand luggage providing the exterior dimensions (height length width) do not exceed 115cm and 10kg in weight. Weight restrictions will be finalised on your e-ticket receipt. Should you wish to take additional luggage you will need to pay extra at check-in. Heathrow Airport advises that check-in should be three hours before your flight departure time. It is important that you bring only necessary clothing and equipment to your lodge during your stay in the Amazon. Due to weight and space limitations on the boat, passenger luggage is limited to 10 kg. (22 lbs.) per person. Altitude sickness is a common condition that can occur when you ascend to a high altitude (generally higher than 2,500 metres above sea level) quickly. The decrease in atmospheric pressure can make breathing more difficult as the body is not able to take in as much oxygen. Most cases are mild with symptoms that can include: a headache, nausea, dizziness and exhaustion. Several of the places in Peru are located at high altitude (over 2,500 metres above sea level) including Puno, Lake Titicaca and Cusco. Therefore, you may find you experience some symptoms at this altitude. It is advised that at these high altitudes, you keep hydrated and avoid alcohol. If you do experience symptoms of altitude sickness during your tour, ensure you tell your guide immediately who will be able to advise the best thing for you to do. You can contact your GP before you travel for advice on medication for altitude sickness. This tour is accessible to most people with an average level of fitness and normal mobility. It involves moderate days of walking on uneven paths and small hills and getting on and off coaches. This tour is not suitable for anyone with walking difficulties. The minimum number of travellers in your group will be 10, and the maximum will be 30. If in the unlikely event there are less than 10 people booked on your tour date, we will endeavour to reduce any disruption to your holiday and try to operate your tour with lower passenger numbers. If we are not able to operate your departure date, then you may be asked to change to a different date and a full refund will be made available to you should this alternative not be suitable. This is an escorted tour, meaning that a knowledgeable, local, English-speaking guide will accompany you on all excursions. The currency in Peru is the Nuevo Sol, the symbol is S/. We recommend that you exchange your currency before you leave the UK. US Dollars are widely accepted in Peru should you wish to keep an alternative currency on you. Cash machines are available in all the major cities to withdraw money in local currency. You will need to take some extra money with you to cover any personal purchases, such as souvenirs, laundry and extra drinks and snacks. 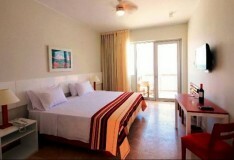 Approximately £400 per person will be sufficient for the duration of the tour. Tipping is common practice in South America and it is customary to tip approximately $2-$4 USD per person per day, which is split between the driver and the local guide. Tips can be given at the end of each day, or at the end of the tour. Tips are accepted in US dollars and local currencies. Our intention is to adhere to the day-to-day itinerary as printed; however order of events and sightseeing may vary according to local conditions or for operational purposes. For this reason, we have indicated approximate times only. Your local guide will inform you of any schedule changes as they are informed of them. Some road construction and/or weather conditions may lengthen the driving times. 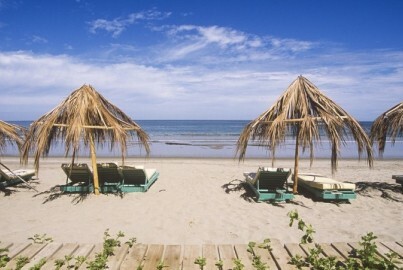 Extend your stay in Peru and head to the beautiful beaches of Tumbes for 3 nights of relaxation. 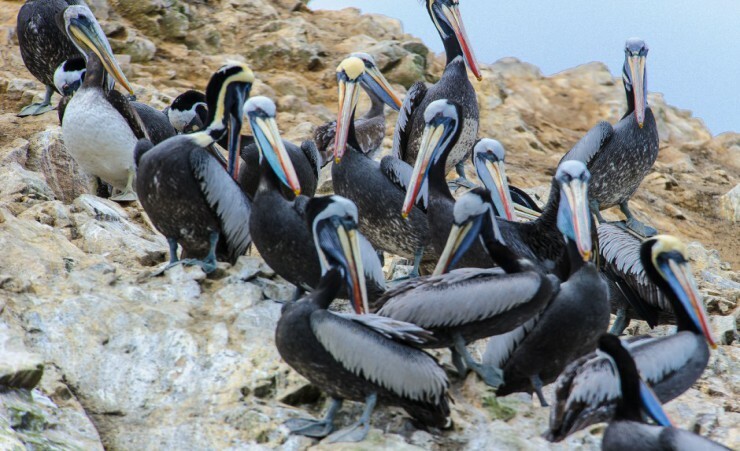 With an idyllic coastline and diverse wildlife, Tumbes offers a perfect end to the The Very Best of Peru tour.